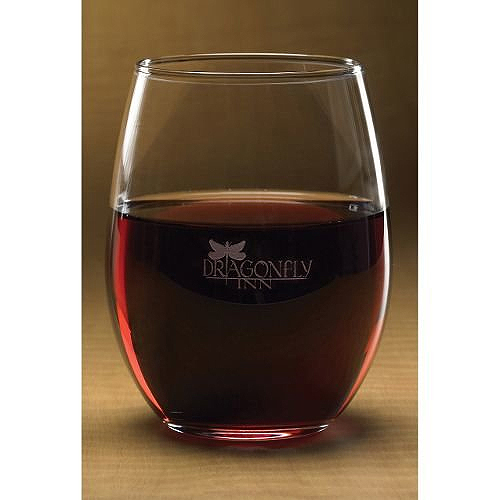 Cabernet Wine Goblet - 10oz. 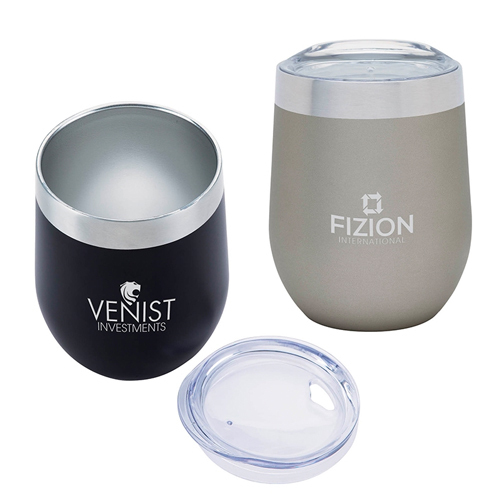 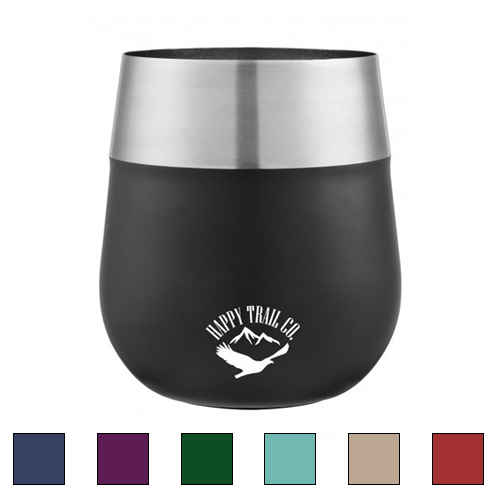 Sedona Stemless Wine Tumbler - 8.5oz. 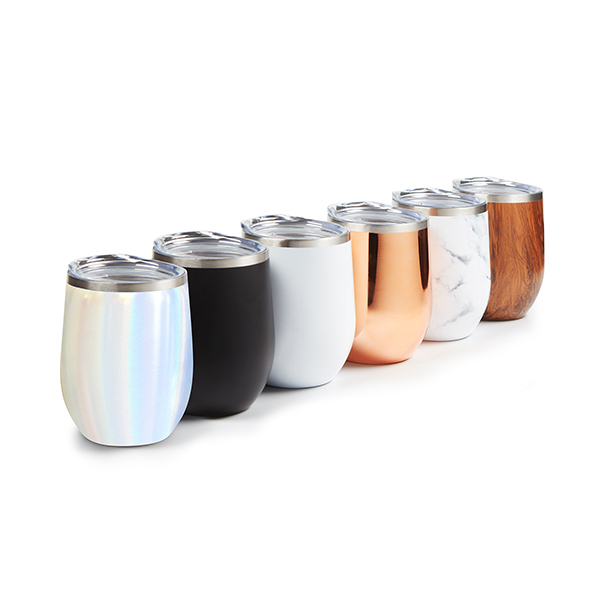 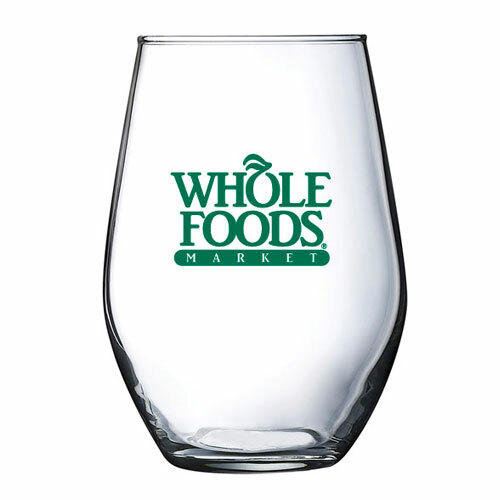 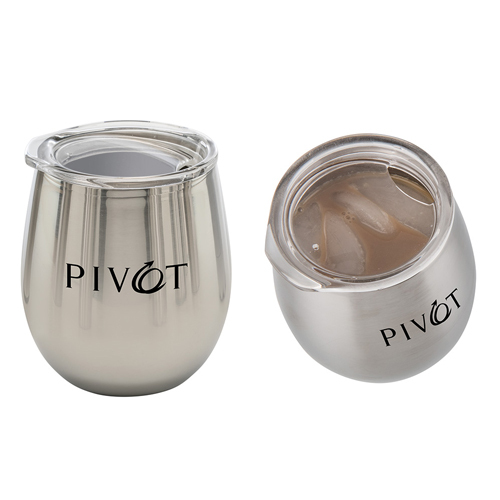 Stemless Wine Glass - 16OZ. 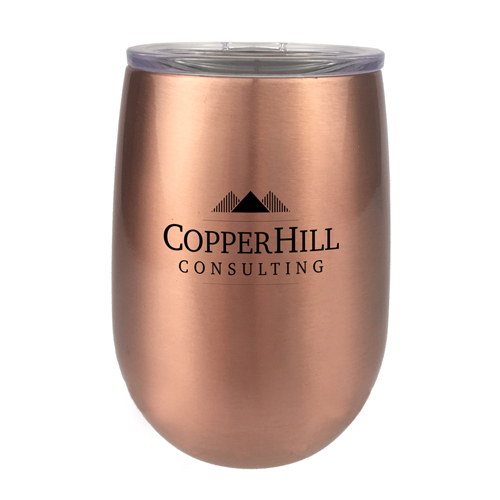 Sipper Wine Tumbler - 12oz. 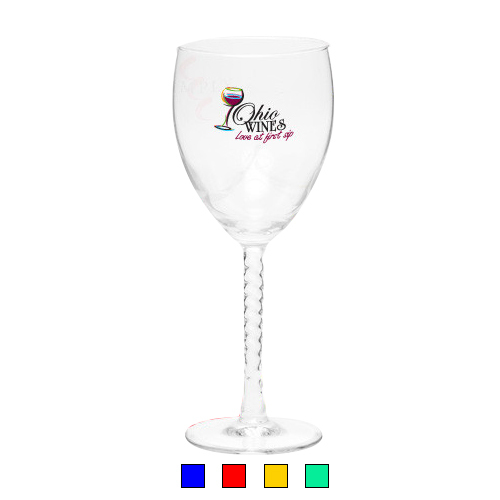 Acrylic Wine Glass - 8oz. 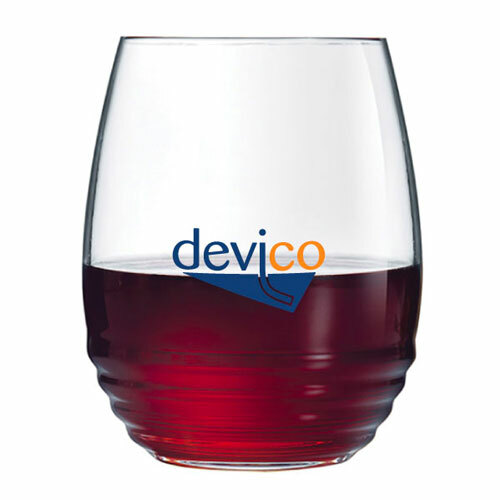 Acrylic Stemless Wine Glass - 8oz. 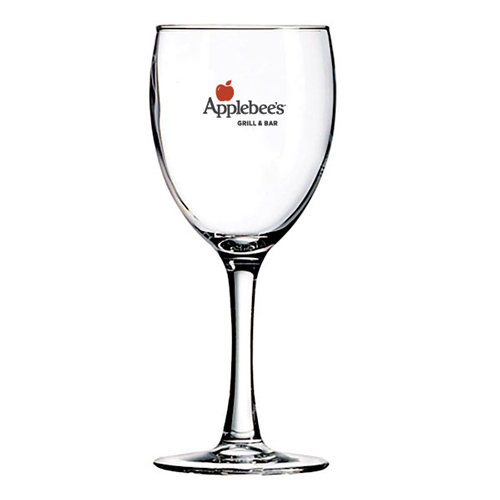 Standard Stem Acrylic Wine Glass - 7oz. 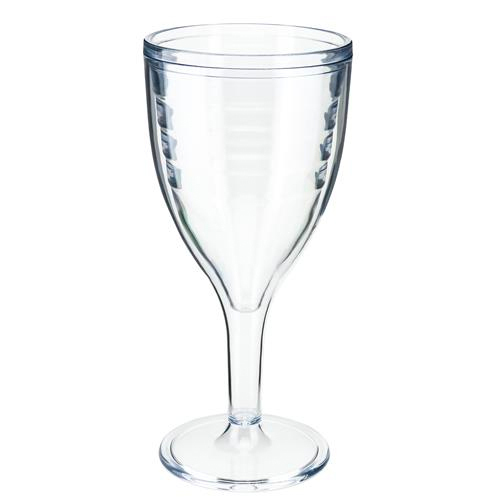 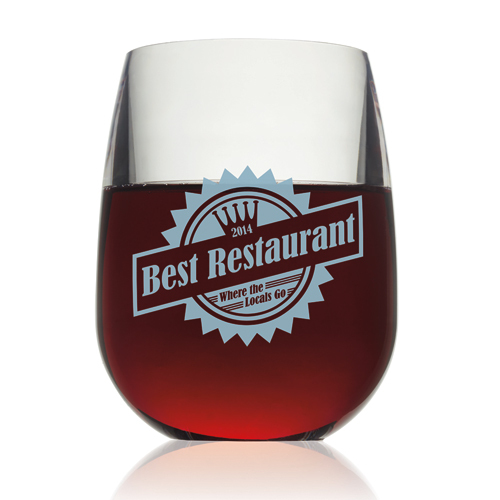 Short Stem Acrylic Wine Glass - 7oz. 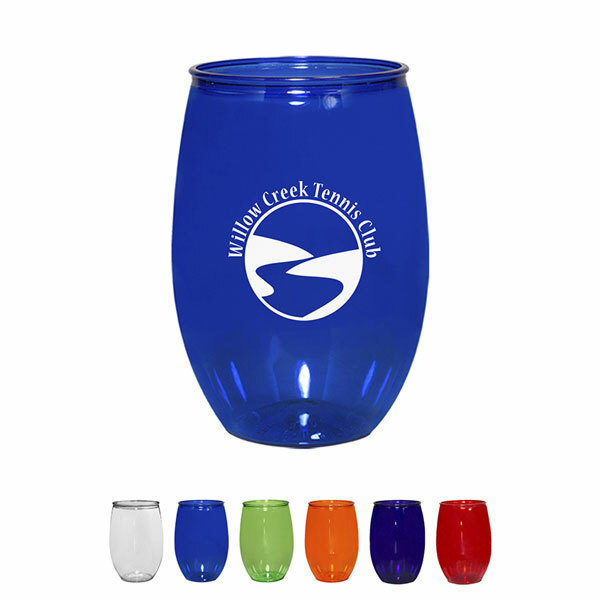 Acrylic Champagne Shooter - 7 oz. 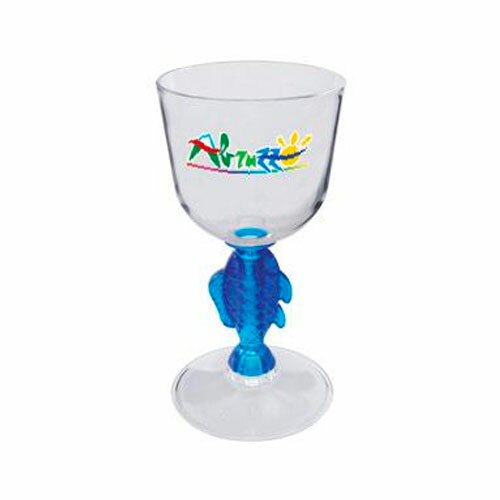 Fish Stem Acrylic Wine Glass - 7 oz. 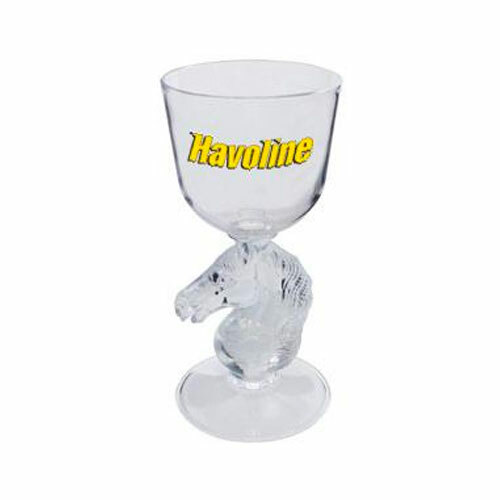 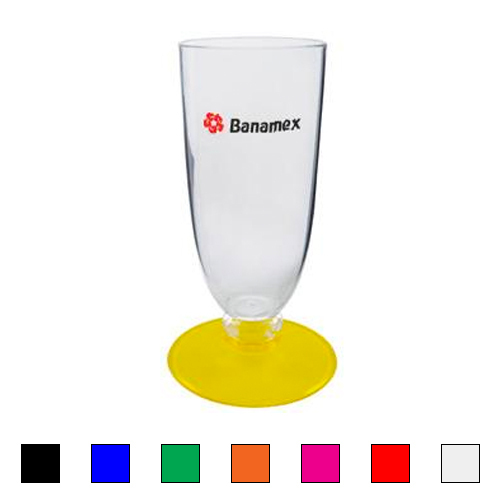 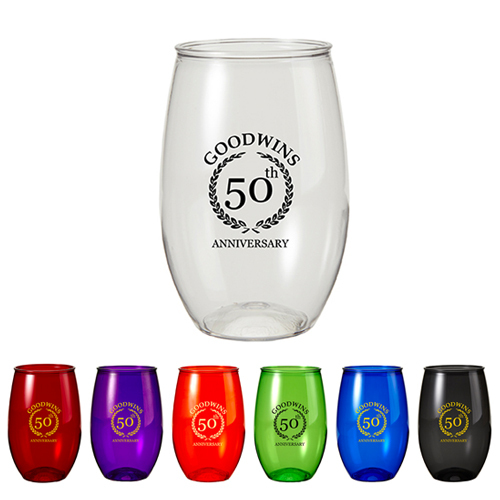 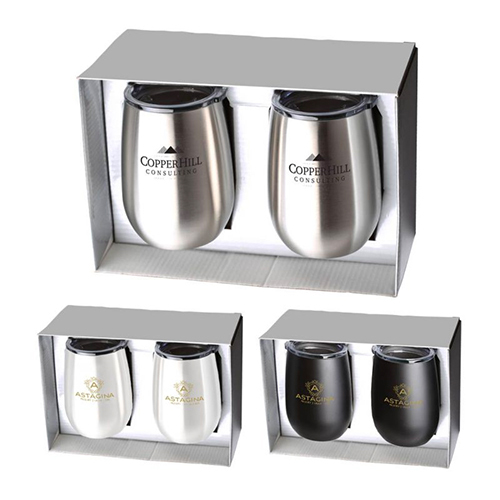 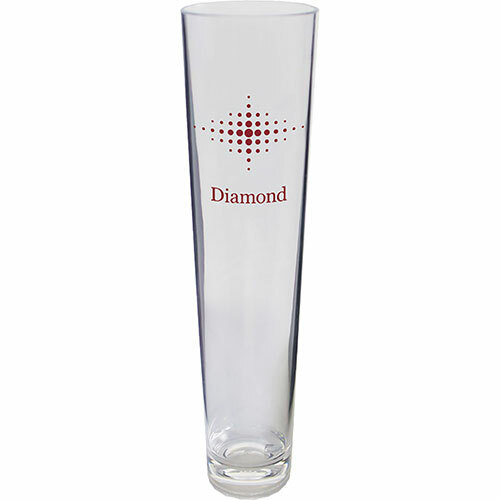 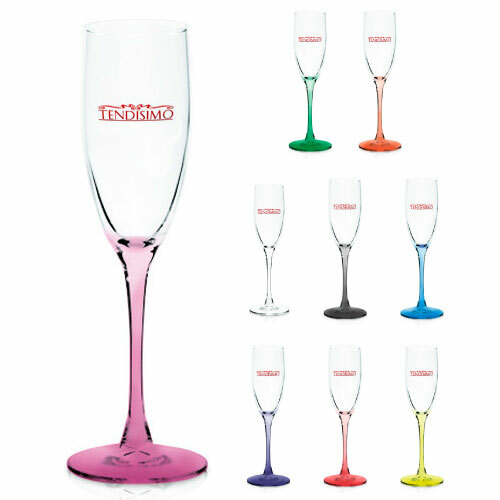 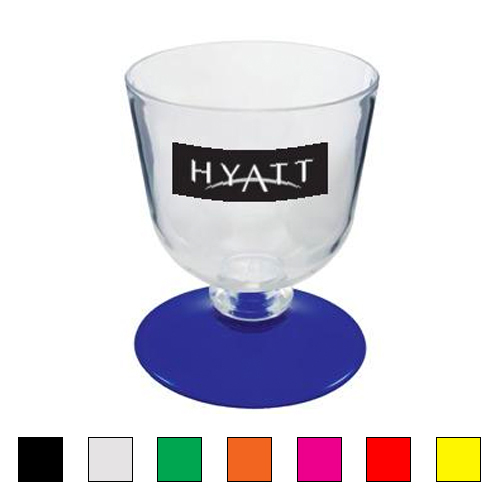 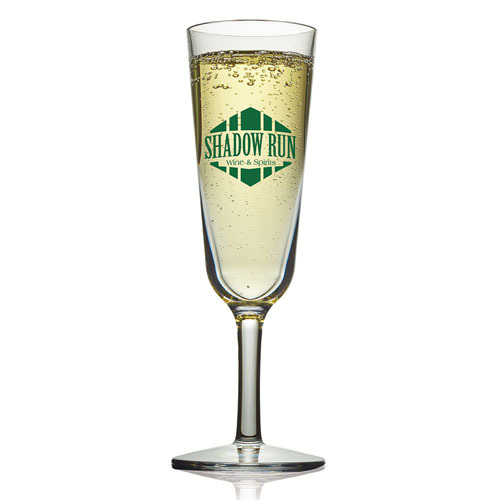 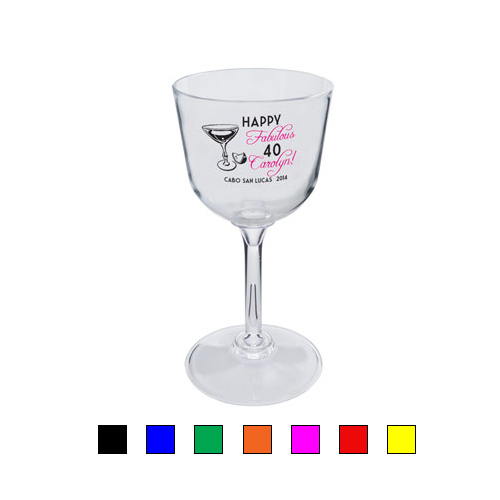 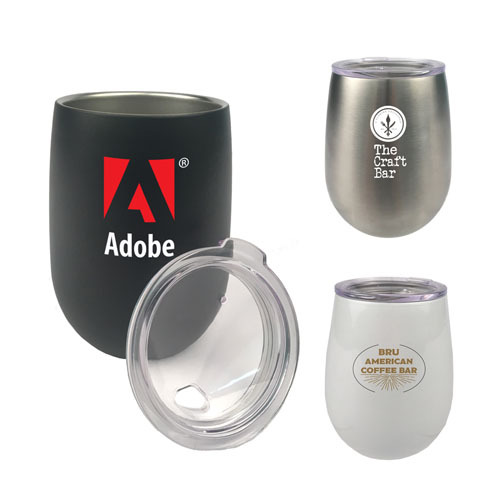 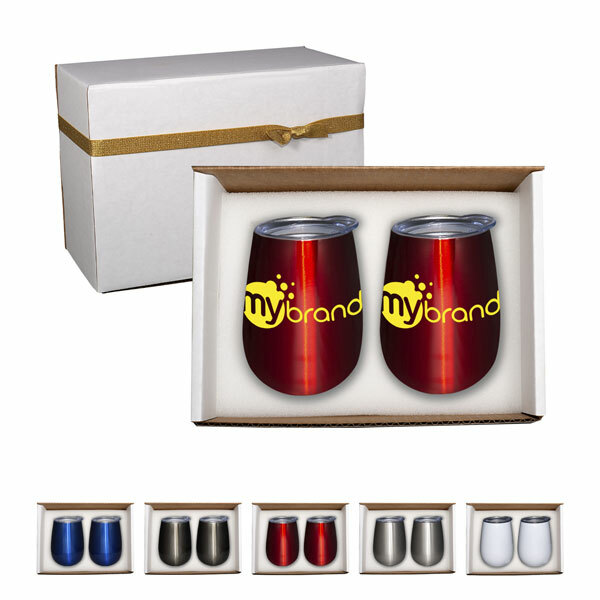 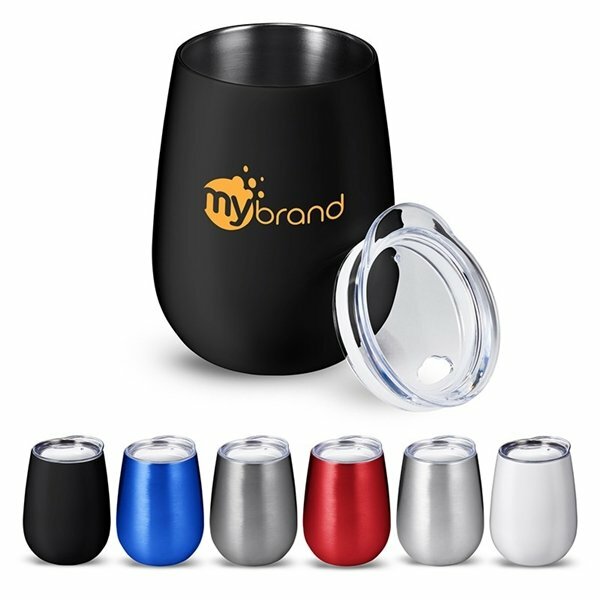 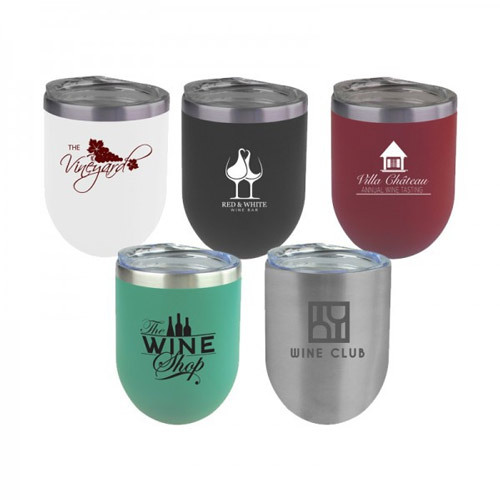 A great reason that custom wine glasses make great corporate gifts and giveaways is that they provide enough room to boldly display your company or organization’s logo and are available in a number of colors and styles to suit your marketing needs. 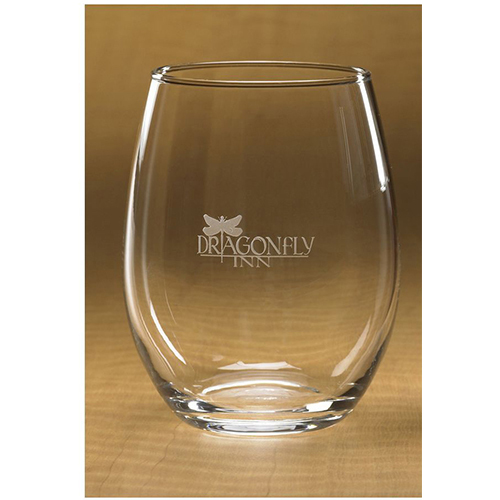 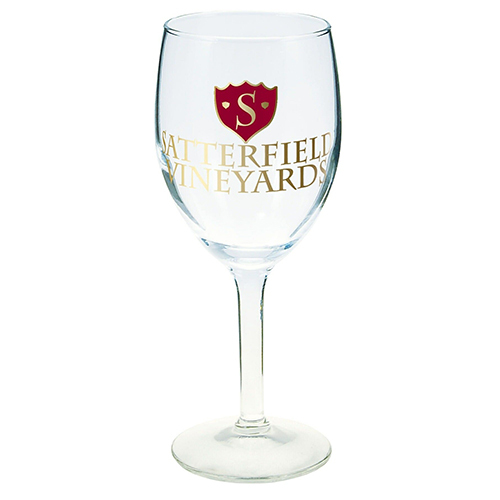 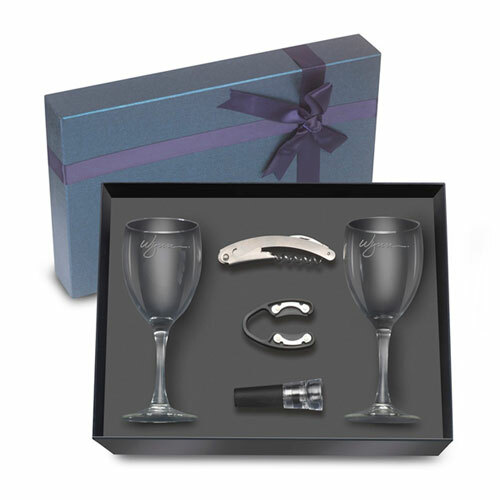 Garrett Specialties features a large selection of wine glasses and stemware that is available in a variety of styles Personalized wine glasses with your logo makes a lasting impression. 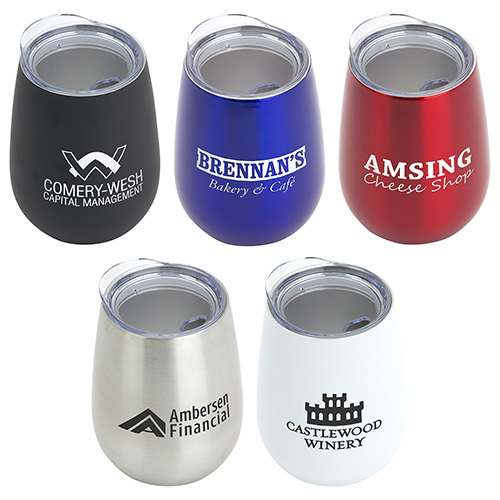 They are great gifts for wedding favors, office parties, corporate events, celebrating a special occasion or just plain thank you. 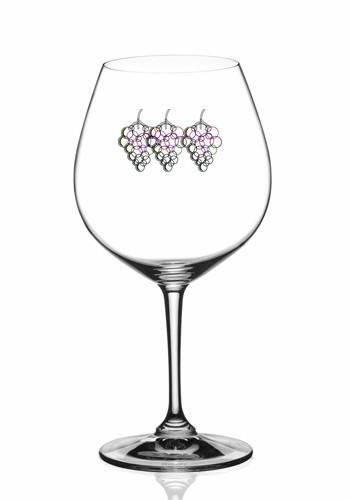 Custom wine glasses can be fun or sophisticated depending upon the style selected to celebrate with wine, champagne or an sparkling drink. 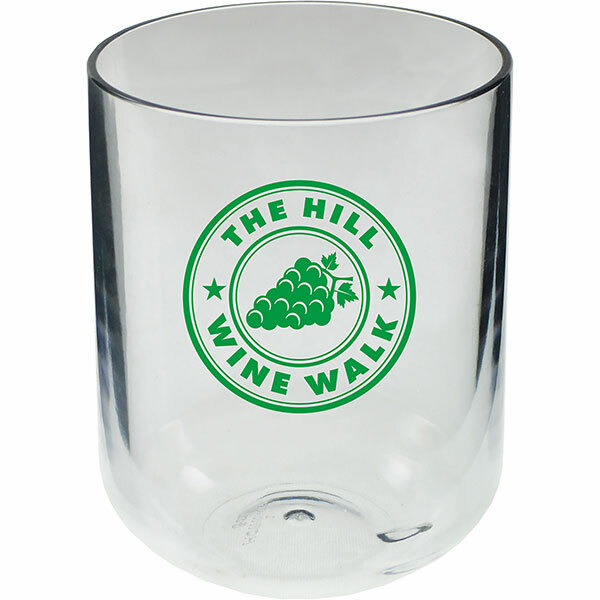 You can have your special message screen printed, engraved or with four color process imprint. 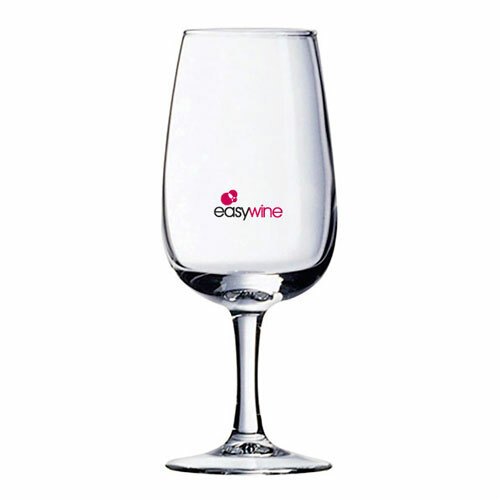 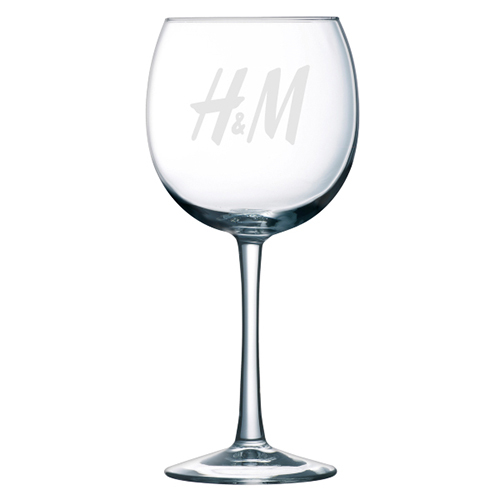 Make an impression when you are served wine and swirl in the perfect win glass to unlock the aromas. 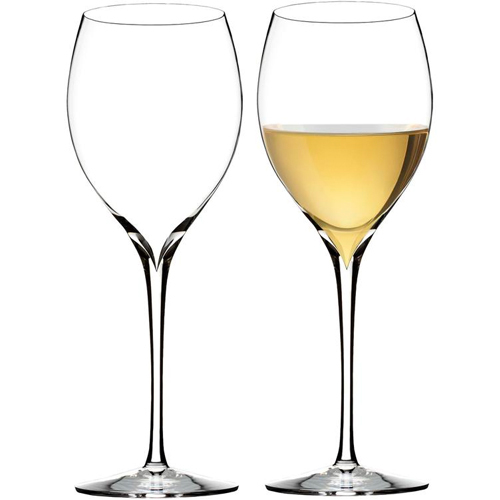 The wine experts say that the type of glass you drink out of really makes no difference. 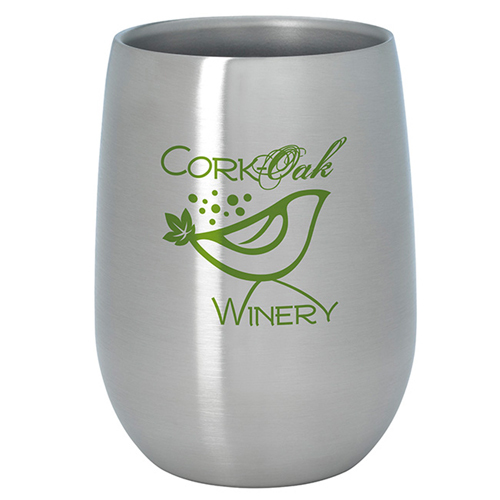 Acrylic, stainless steel and copper are becoming popular vessels to drink wine. 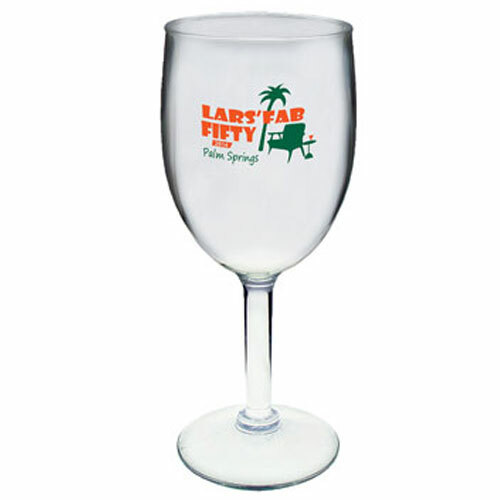 The best custom wine glasses are those that are well-balanced in the hand. 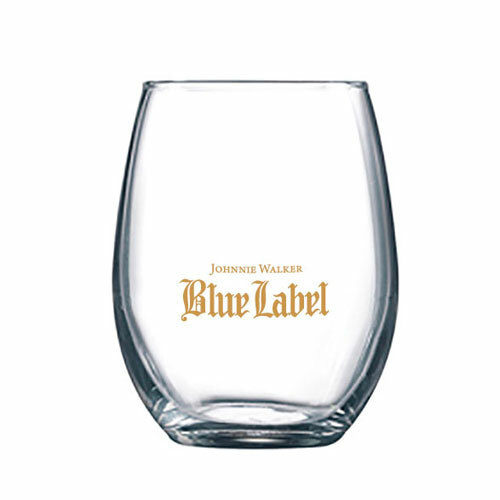 As they say let your senses by your guide. 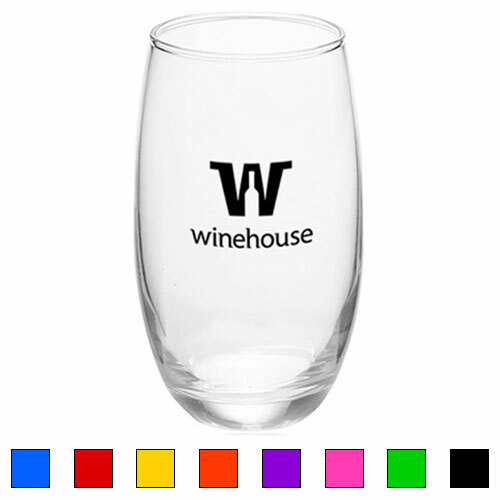 You can't go wrong with any of selection of wine glasses.